Imagine a satellite TV service that suits to you and your family's interests, passions and your busy schedules. Picture all of your favorite channels, movies and shows it will definitely become Reliance BIG TV. India’s largest integrated telecom service provider that offers India’s first wholly Digital Home Entertainment Service using MPEG-4 platform, as BIG TV DTH brand. The world’s most advanced MPEG4 DTH technology platform which enables BIG TV DTH to offer over 200 TV, Cinemas and Audio channels, the highest through any other DTH operator across the country. With 32 exclusive cinema channels in English, Hindi and all other Regional languages, Reliance BIG TV DTH offers a choice of 600 new movies every year, unmatched by any DTH or cable network operator in the country. Reliance BIG TV online recharge has gained a lot of acceptance among Indian users in incredibly less time. It is all because the number of benefits that offered with new connection by Reliance BIG TV. 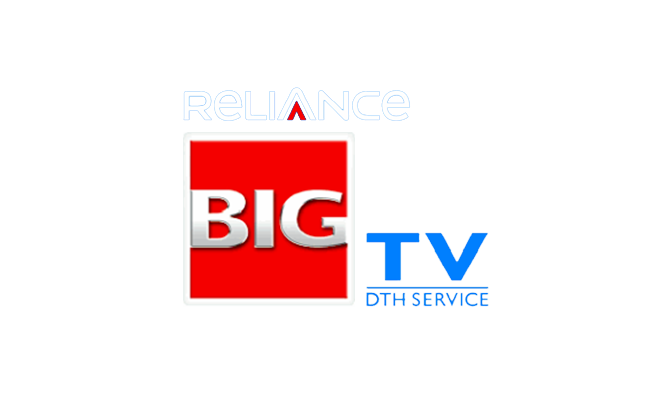 Reliance BIG TV is one of the rare DTH providers in India that offers free installation for its new customers. Furthermore, customers can also get BIG discounts on long term packs. The performance and video quality is also very good. Reliance Big TV is a popular choice among television owners. Its services are available in all circles across India. Reload.in provides detailed list of Reliance BIG TV and explains its features, plans and recharges etc. Here, with few clicks, you can pick a recharge plan that suits to your needs and budget. For customers, Reliance Big TV’s prepaid offers include data tariff plans, top-up recharge, and many more. You can get all the information regarding Reliance BIG TV under one roof, Reload.in. Customers can take full advantage of its simple and smart recharge portal by selecting DTH plans page in Reload.in.